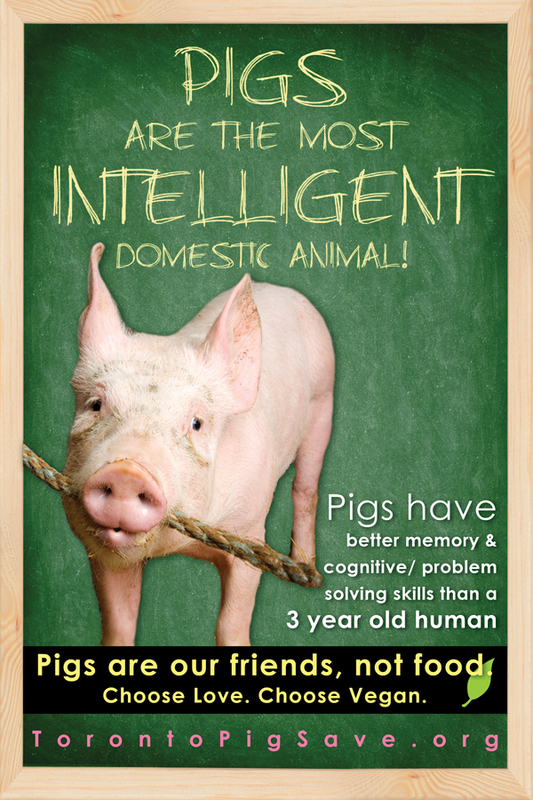 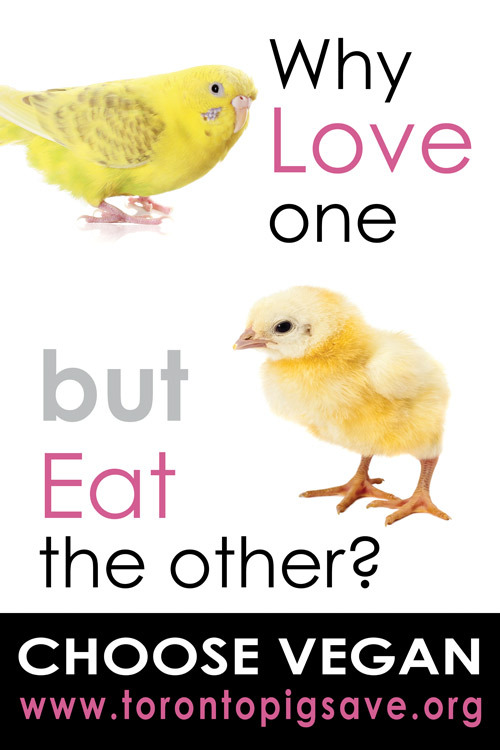 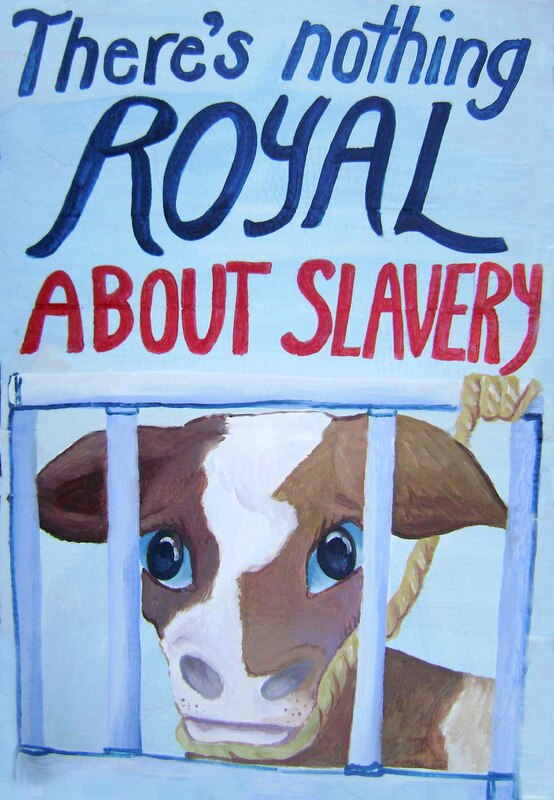 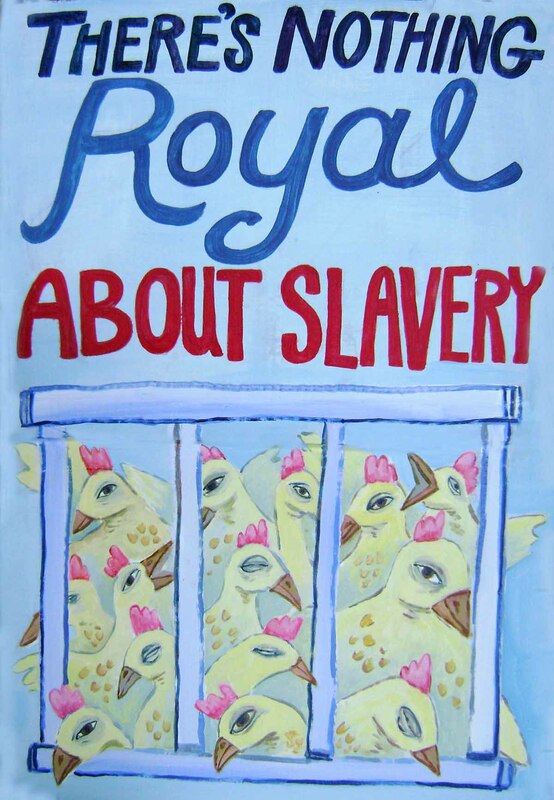 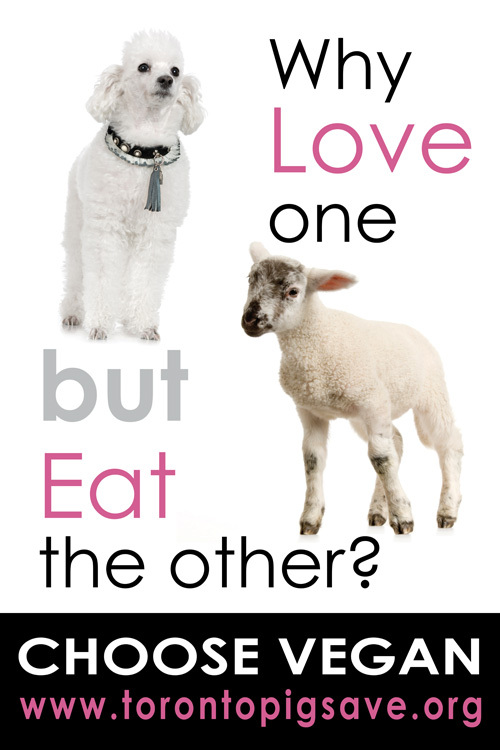 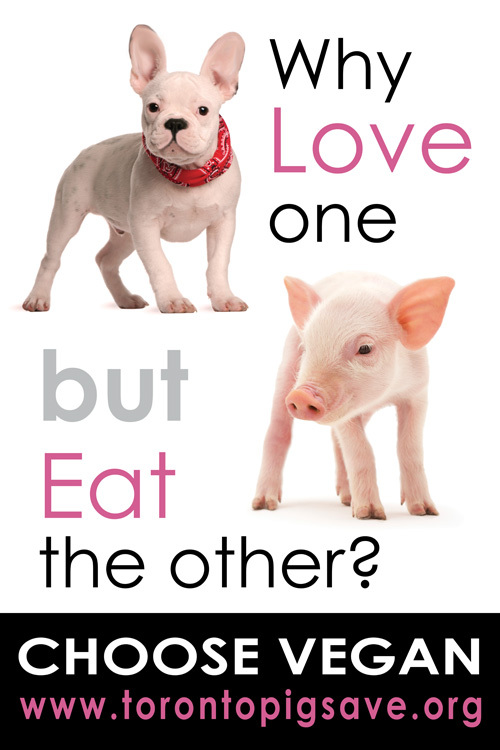 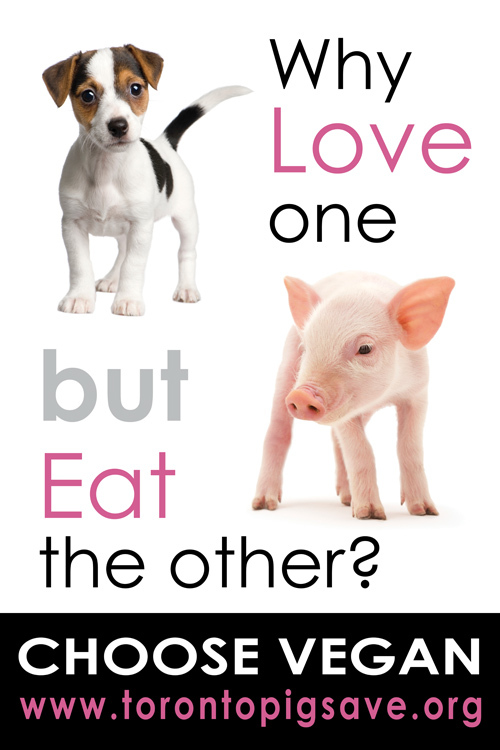 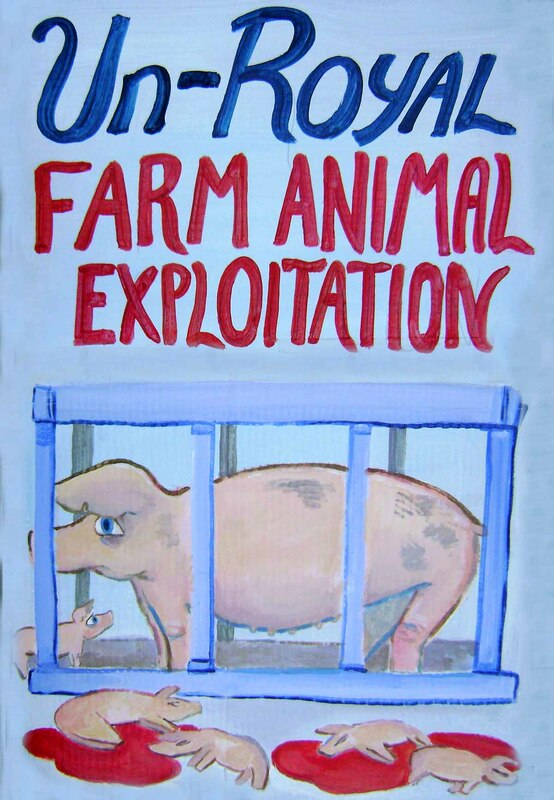 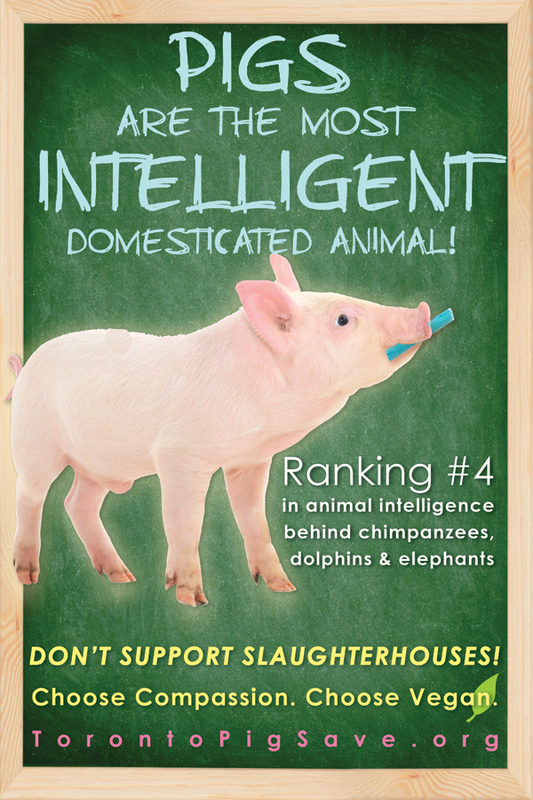 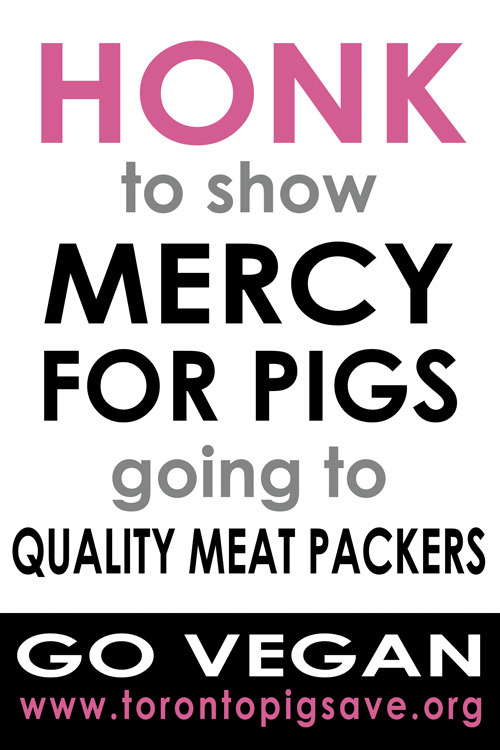 The following posters were created by Louise Jorgensen for Toronto Pig Save. 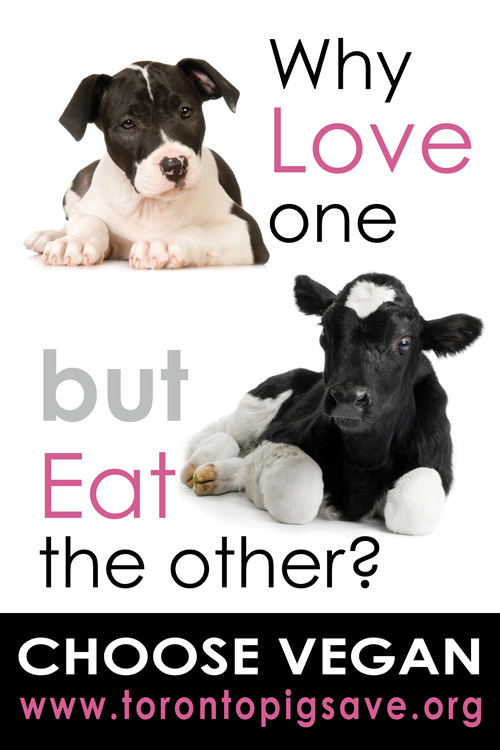 They are free to use for non-profit, animals rights promotion only. 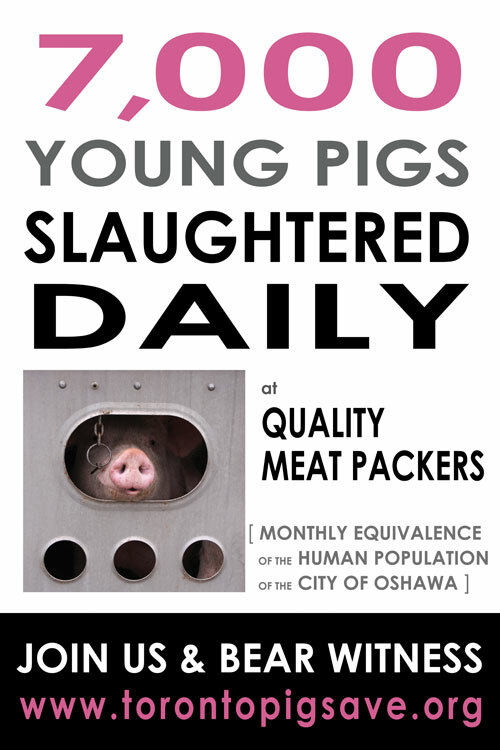 For poster print (20 x 30″ dimension or other size in those proportions/high resolution), use the text link below the thumbnail. 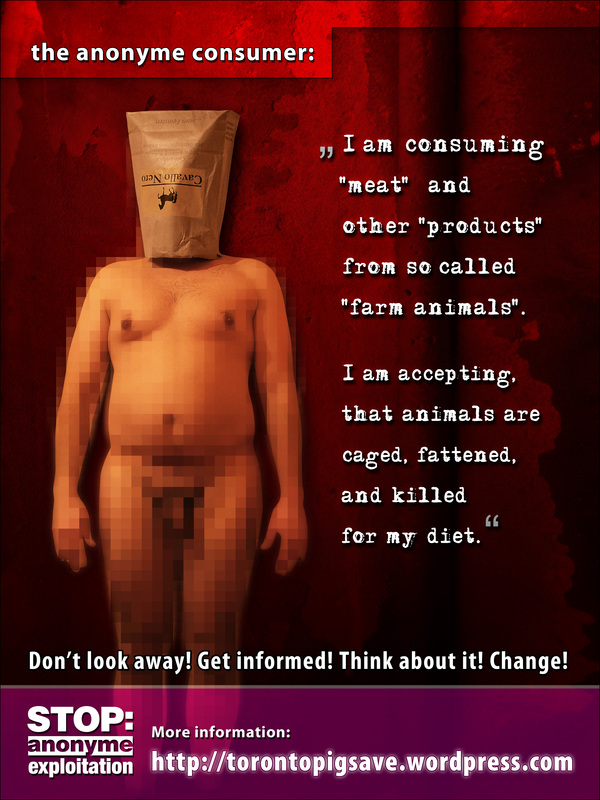 Dirk Giesselmann is a German, vegan, multimedia artist and documentarian, born in 1974. 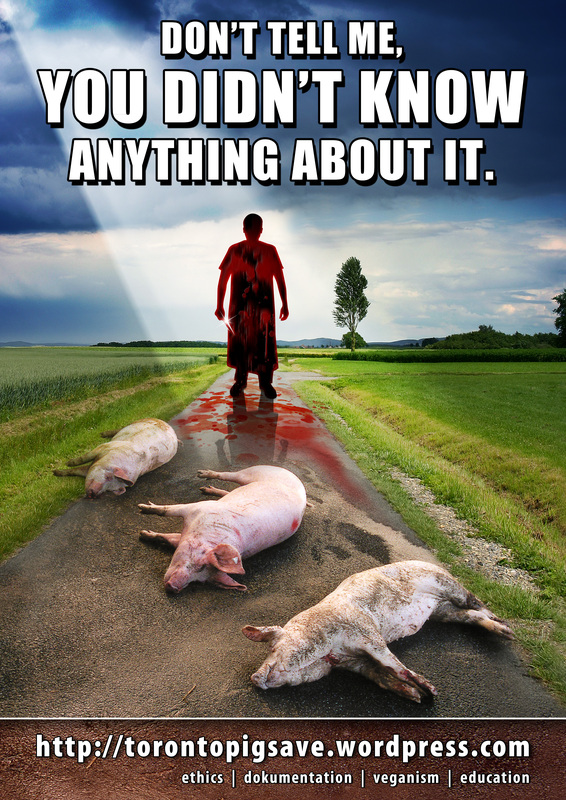 In 1992 he became vegetarian for ethical reasons and in January 1997 he decided not to take part in the exploitation of non human animals any longer and became vegan. 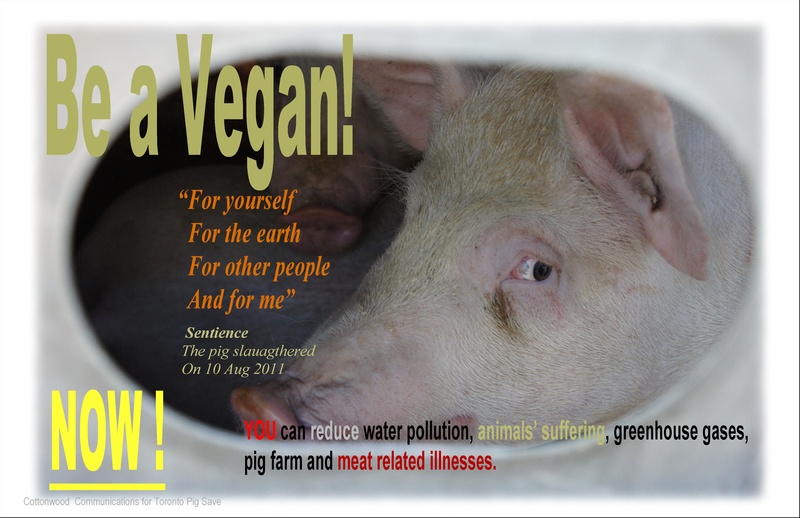 Avoiding nonvegan food and other ‘animal products’ was a first step, but it wasn’t enough. 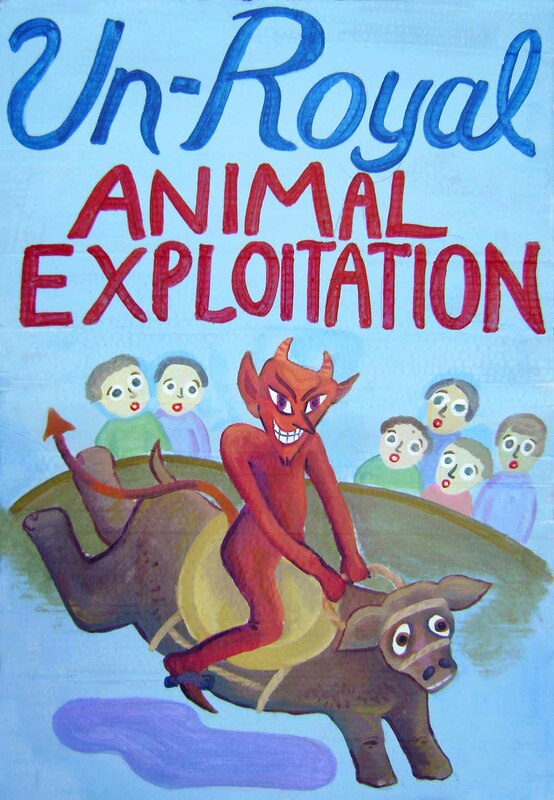 To acheive more important changes, he started to take photos and videos of so called ‘production animals’ — with permission and undercover as well. 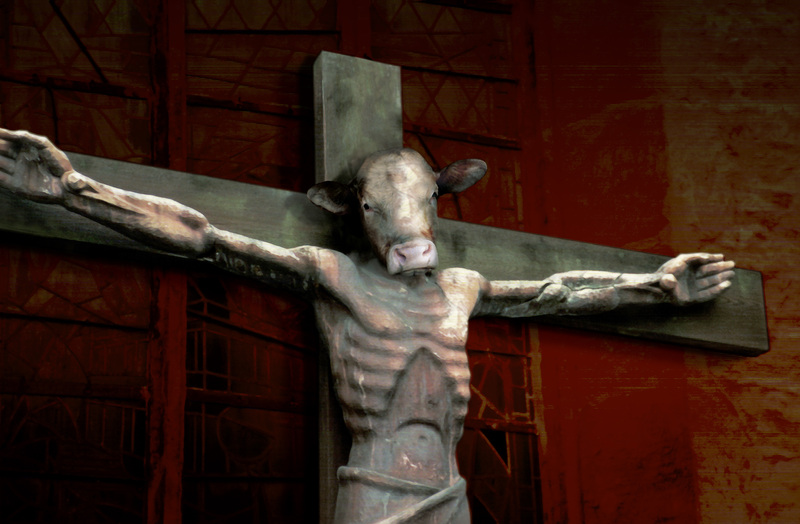 Dirk started a website-project called SOYLENT WEISS [Engl. 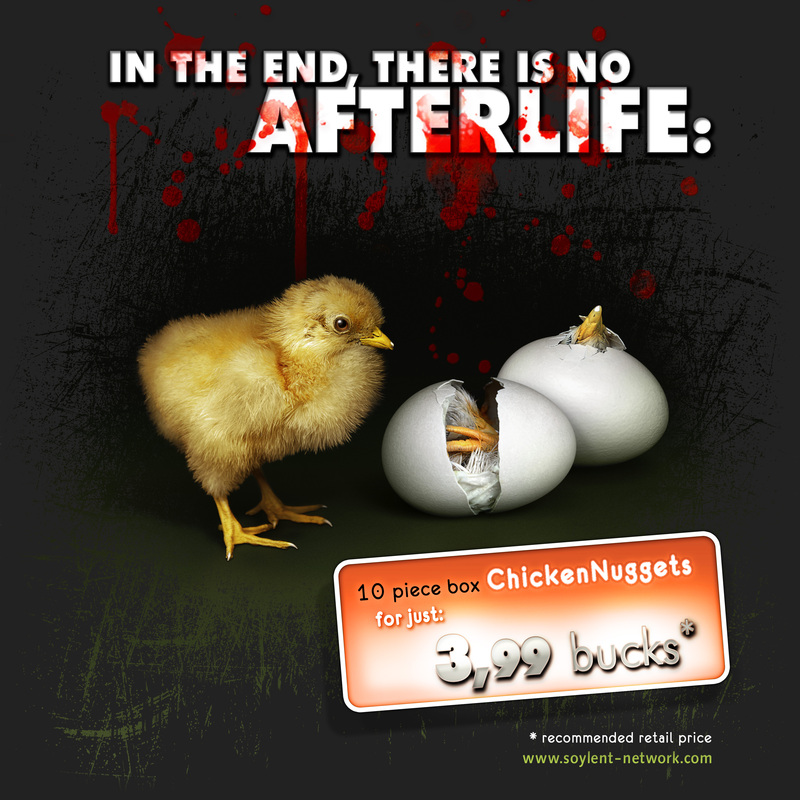 : SOYLENT WHITE], created some multimedia flash-animations (for example www.think-baby-think.com) and last, but not least, bundled his work on www.soylent-network.com with lots of free photo-material, graphic artworks, texts, etc. 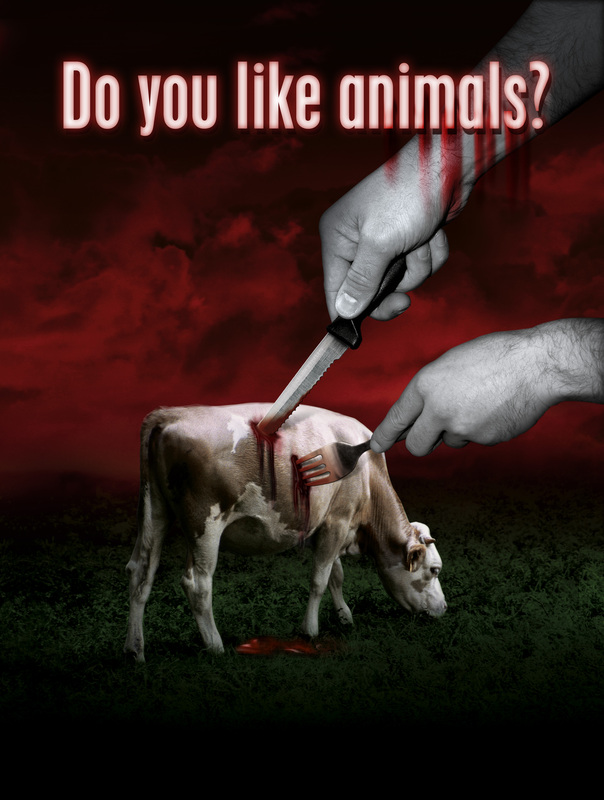 to give facts clarification concerning the cruelty to non human animals and to promote non-harm and respect for our fellow creatures. 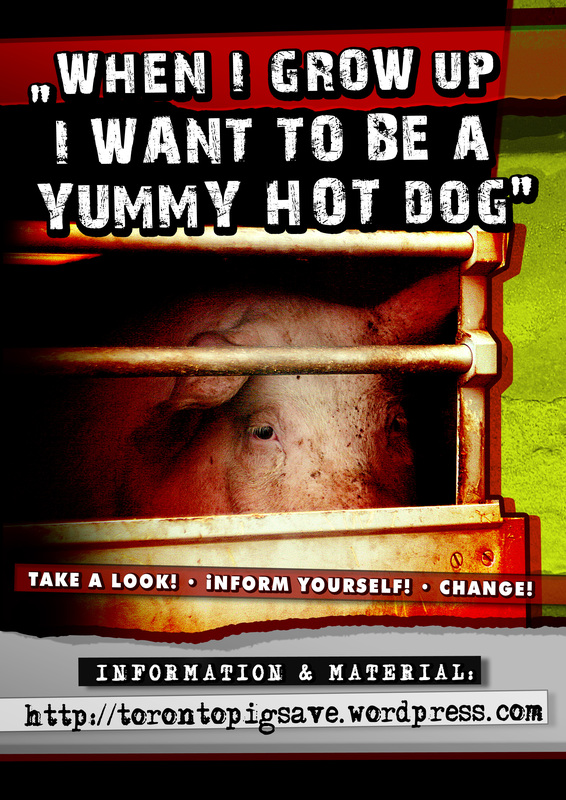 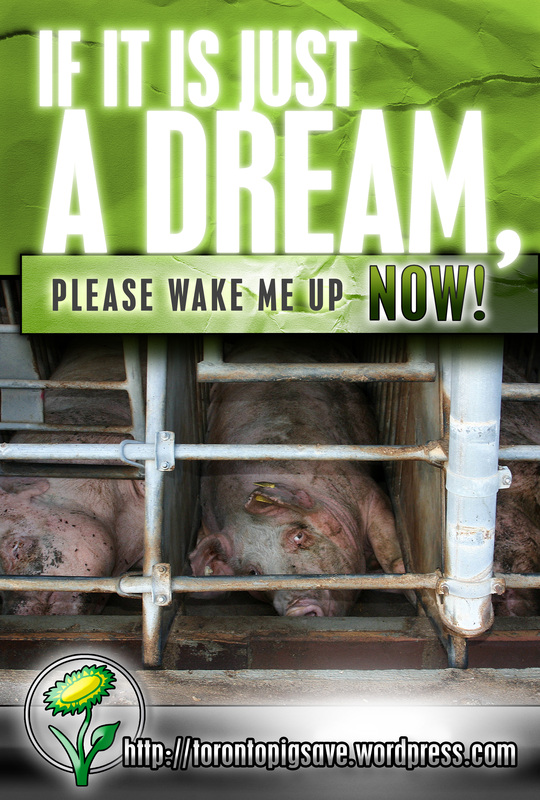 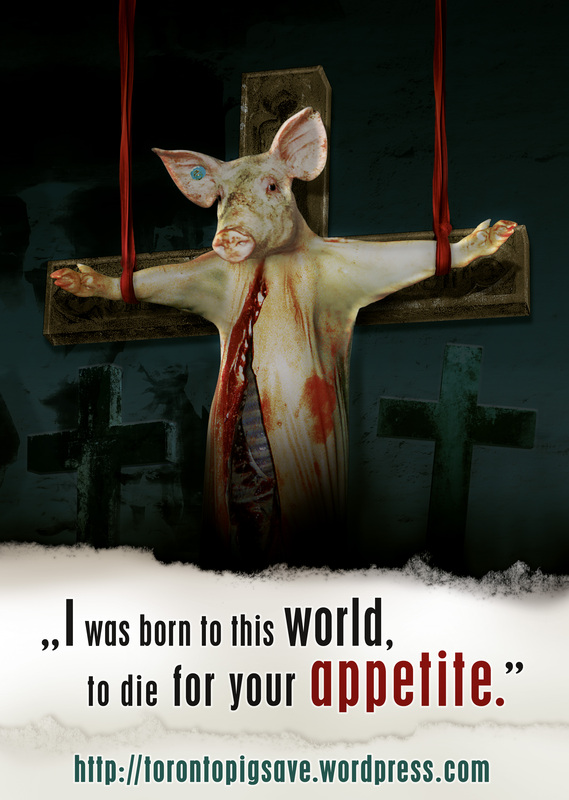 Below are a selection of his pig advocacy flyers, which he kindly translated from German to English for our campaign. 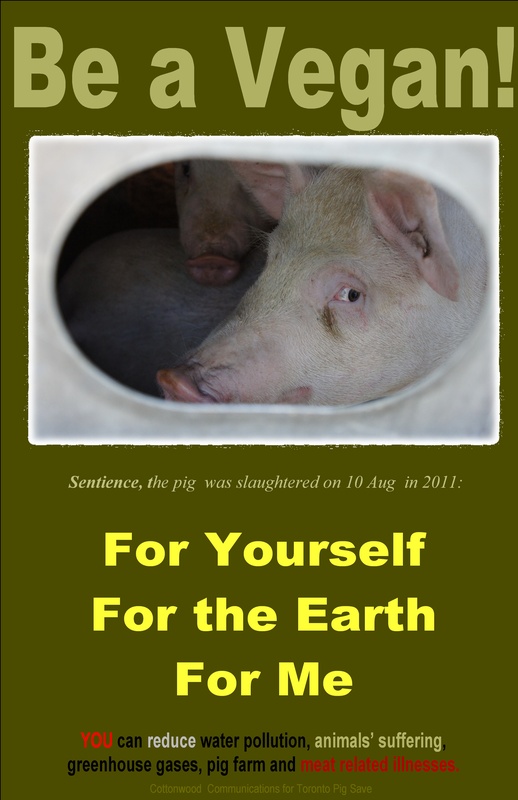 * PLEASE click images to enlarge them.